When Kevin Rose sold Digg and started his own social sharing service under the company name of Milk, we all watched with anticipation for what was possible from someone who has had a close relationship with the public for a very long time. His company’s app had us sharing photos and experiences, instead of being locked into an overall location. All was fun till Google offered Kevin a job and he pulled the plug. The key to many photo as well as document apps, is the cloud backend that is needed for others to see your creations. When the provider pulls the plug on the hosting, the app on your iPhone generally becomes useless. Some still allow creation and editing, but the method to get the resulting item out of the app has been removed. And, with that, so is the social groups a person had built up. With so many options, it is easy to miss going to one when another is getting a lot of attention from others so there are things to comment on. You know, the social side of social media. Last week I visited two apps that I thought I had more recently used, but discovered it must have been months… oh how time flies by! For a few months, everyone was getting into the Gif sharing. Apps to create and apps to share where everywhere a person looked on Photography sites. 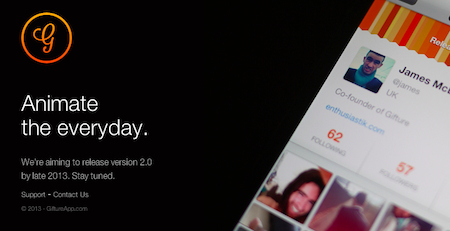 Perhaps Vine with it’s sharing of a 6 second movie helped lighten the visits to the many Gif sharing solutions. One that had a nice selection of short moving images that appeared to be from some very creative people was Gifture. When I launched the app, there was non of my posts or other people’s posts available anymore. In this case though, perhaps it will return some day, the developer’s promise. When it returns, will the users return… since they already got burned once. 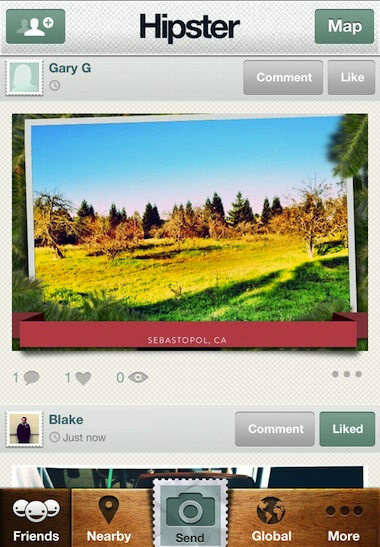 Another photo sharing app that actually got a lot of attention in tech groups of folks was Hipster. Their idea was that a person created ‘digital postcards’ via snapping a photo and having a frame applied with location text. 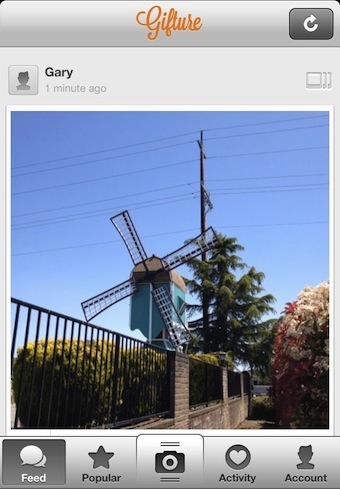 Find friends and share ‘postcards’ within Hipster for others to enjoy. I didn’t really dive into the app’s social pond very deeply as there was almost no posts by folks close to me and those far away where not posting very regularly. Yet, the app continued to get press as being the place to be. There’s an old saying that says that “all good things must come to an end”, and its with a mixture of a lot of emotions – gratitude, sadness, and excitement for the future – that we’re letting you know that Hipster will be shutting down as of February 16th, 2013. You’ll have until that date to save whatever postcards you’d like to keep – after that, all of the postcards you’ve sent through Hipster, and the accounts you’ve created will be deleted. So, what is the responsibility to your customers? Gone are the days of the little corner photo processing booth going out of business and the neighborhood having to drive a bit further. Social services effect people globally, both in their time as well as relationships that were created and now lost. Generally, there is no other way to contact someone outside of the provider’s solution. Will people start to be more cautious about joining in on the promise of fun amongst new friends when the relationship connection requires an outside party with only the hopes of an income stream in the game?